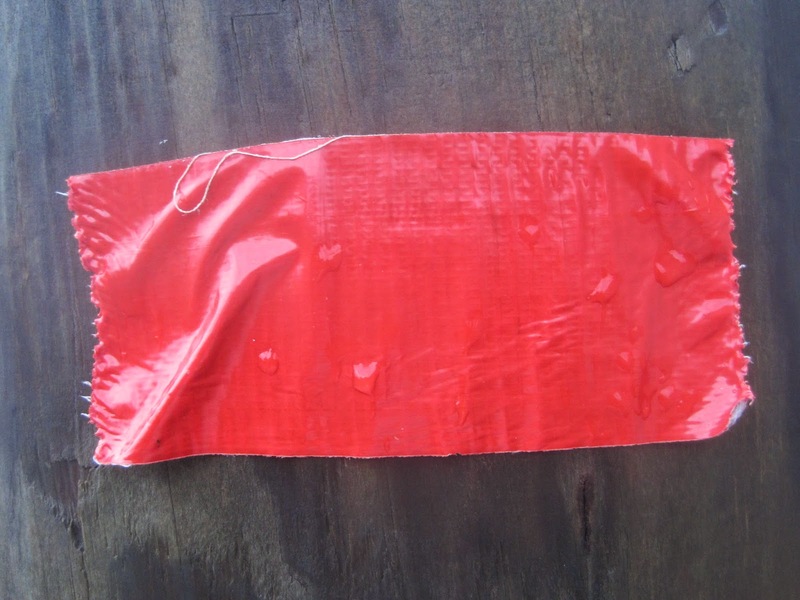 red tape by Eugene Peretz is licensed under CC BY-SA 2.0. All characters appearing in this work are fiction. Any resemblance to real persons, living or dead, is purely farcical. Once upon a time, there was a government worker. She was a good, conscientious, publicly minded individual of high morals, higher standards, and impeccably professional decorum and bearing. Her job was to prepare a report for the State, a job which she had performed without complaint for over two decades, which, according to a state law that was drafted in the 19th century, was to be mailed to the State Capitol about a half hour away every quarter for review and submission. This report was a fairly large, heavy document, totaling at least a hundred pages, and was consequently not particularly cheap to send via post. One day, a politician was searching around for examples of waste and fraud. He noticed that this report had ostensibly been generated by the same person for over two decades, but he didn't believe it. Surely, he thought to himself, this lazy public servant had found a way to delegate it to one of her coworkers while she sipped some tea and added public funds to her overly fat pension plan! Clearly, he thought to himself, what this public servant needed was greater transparency. So, he drafted a piece of legislation, which was approved by like-minded politicians, that required our government worker to drive the report to the State Capitol herself so that the politicians in the Capitol could ask the government worker questions and confirm that she did, indeed, write the report in question. The government worker was annoyed, but she had served in public service long enough to know not to take the whims of politicians seriously. She performed her duty faithfully - every quarter, she drafted the report, got into her car, drove to the State Capitol, handed it to an administrator that would politely nod and ask a few perfunctory questions about its contents, then she would drive back to the office. Being a good, conscientious, publicly minded individual of high morals and higher standards, she faithfully recorded her mileage and her time, all of which were spent performing State business, and submitted them for reimbursement every quarter, just like she was supposed to. One day, another politician was searching around for examples of waste and fraud. He noticed that the cost of submitting this particular report had increased dramatically - what used to cost only $5 in postage every quarter suddenly jumped to $30 in mileage reimbursements and an hour and a half of experienced public servant labor! This politician was no fool - there was no way this government worker was consuming $30 in gas driving to the State Capitol, which was about a half hour away, and back. Furthermore, why was it taking this worker an hour and a half to drive to the Capitol, drop off the report, and then return? He knew from experience it only took a half hour to get to the state worker's office from the Capitol - multiply that time by two to cover both legs of the trip and it should only take an hour. So, he drafted a piece of legislation, which was approved by like-minded politicians, that required our government worker to use a state-owned car - this would save money since state mileage would be reimbursed at cost, not IRS reimbursement rates - and required the government worker to submit the report and return back to her office in an hour or less. The government worker was annoyed, but she had served in public service long enough to know not to take the whims of politicians seriously. She did, however, have a problem - her office did not have a state-owned car issued to it. So, she submitted a requisition for a new car, using the newly-passed piece of legislation as justification, which was summarily approved. In order to meet her hour-long window, she also started to take some liberties with the speed limit when driving to the Capitol to submit her report - this didn't sit well with her high morals, higher standards, and impeccably professional decorum and bearing, but, if pressed, she felt she could explain to her fellow state employees that, since the law demanded she drive fast enough to submit the report, answer any questions asked, and return in an hour or less, she must therefore drive fast enough to accommodate that legislative requirement. One day, yet another politician was searching around for examples of waste and fraud. He noticed that the cost of submitting this particular report had increased dramatically - what used to only cost $30 in mileage reimbursements and an hour and a half of experienced public servant labor every quarter suddenly cost over $20,000 thanks to a recently requisitioned new car and sundry maintenance expenses! Furthermore, he recently received complaints from his constituents about how state employees in state-owned cars weren't respecting the rules of the road and were passing them like they were standing still. This, the politician decided, simply could not stand. So, he drafted a piece of legislation, which was approved by like-minded politicians, that required government workers to adhere to the speed limit when driving state-owned cars and required state workers to drive the same state car for longer periods of time so the state would buy fewer new cars. The government worker was annoyed, but she had served in public service long enough to know not to take the whims of politicians seriously. She did, however, have a problem - it was physically impossible for her to drive to the Capitol, submit the report, field any questions asked, and drive back in an hour or less while adhering to the speed limit. She thought about the problem for a bit, rereading the offending piles of legislation that circumscribed how she must discharge her duties, and then made some phone calls. The law required three things - for her to use a state-owned car, to submit the report and return to her office in an hour or less, and to adhere to the speed limit - but at no point did it say where she was to drive to. So, she drove to a nearby helicopter pad, chartered a flight to the pad next to the Capitol, and made it with time to spare. She couldn't think of very many public servants with enough creativity, drive, and willingness to embrace this sort of out-of-the-box thinking to serve the demands of the public. One day, yet another politician was searching around for examples of waste and fraud. He noticed that the cost of submitting this particular report had increased dramatically - what used to only cost $20,000 in car purchasing and maintenance suddenly cost tens of thousands of dollars each quarter for private helicopter rides of all things! He simply couldn't believe it. Clearly these public servants were not getting the message - belts needed to be tightened and this sort of wanton extravagance had to be nipped in the bud. So, he drafted a piece of legislation, which was approved by like-minded politicians, that forbade government workers from chartering personal helicopter flights for official business. The government worker was annoyed, but she had served in public service long enough to know not to take the whims of politicians seriously. She did, however, have a problem - it was still physically impossible for her to submit this report by car, the airport took too long, and the helicopter was the only thing close enough and fast enough to get her to the Capitol within her legislatively mandated hour long window. Very well, she thought to herself - she knew what she needed to do. Within a quarter, she secured a helicopter pilot's license - the costs of which she billed to the State - requisitioned a helicopter, and even requisitioned a helicopter pad for her office, which she justified via her new legislatively mandated requirements. To her mild amazement, her requisitions were approved; the measures she was taking were, after all, the only way she could possibly perform her job according to the requirements set forth by statute. Thus, she proceeded to fly a brand new, state owned helicopter from her office to the Capitol, report in hand, each and every quarter. One day, yet another politician was searching around for examples of waste and fraud. He noticed that the cost of submitting this particular report had increased dramatically - what used to only cost tens of thousands of dollars each quarter for a chartered helicopter suddenly cost tens of millions of dollars for helicopter flying lessons, a brand new helicopter, and associated maintenance personnel and parts! This wasn't just out of hand, it must have been downright criminal! - and all of this just to submit some stupid report every quarter. So, he drafted a piece of legislation, which was approved by like-minded politicians, that eliminated the report and those responsible for generating it from the books. The government worker was no longer annoyed - she was unemployed - but not for long. Thanks to her new helicopter license and flying experience, she found work flying chartered helicopters for well-heeled clients. The politicians that put her out of a job were all reelected owing to their ability to slash waste and fraud - especially the last one, which save taxpayers tens of millions of dollars! And that's the story of how the government saved itself $5 in postage each quarter.